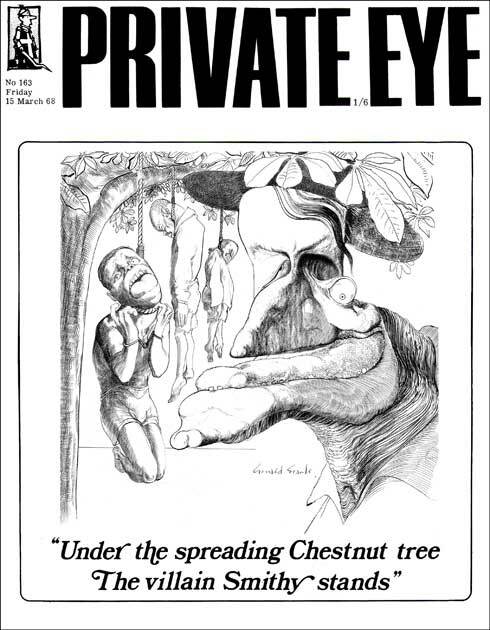 Published on 15 March 1968, this graphic drawing shows the cruelty of the leader of the then Rhodesia, Ian Smith. Print size 21cm x 29cm. Hand signed by Gerald Scarfe.